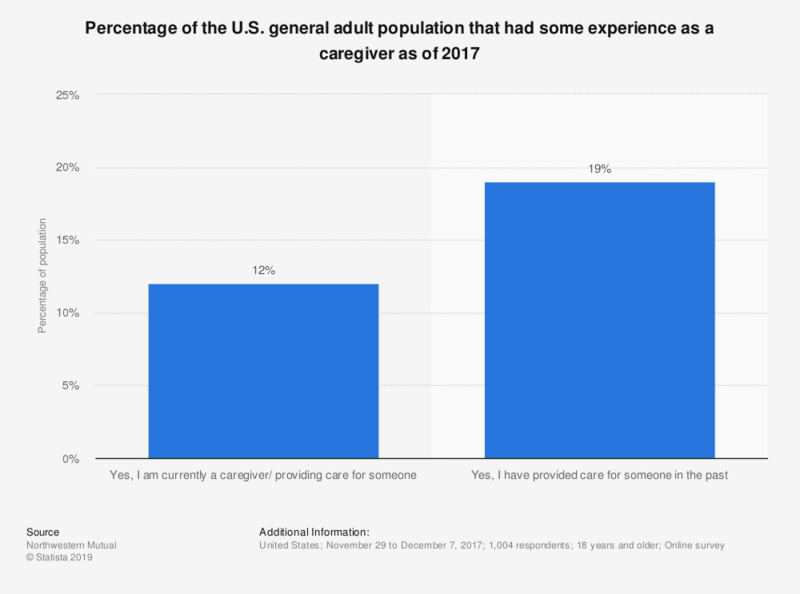 This statistic displays the percentage of the U.S. general adult population that had provided some type of caregiving service to someone, not as a part of their employment, as of 2017. According to the data, 12 percent of survey respondents indicated that they are currently a caregiver/ providing care for someone as of 2017. Definition: "By caregiving, we mean situations when you are responsible for providing care – or the resources for that care – to someone or several people over a substantial period of time. The caregiving could be for anyone in your life who is –or could be – aging, ill or have special needs, but does not include any caregiving you may do as part of your employment." Original question: "Are you currently, or have you ever been a caregiver?"